Our organization owes our remarkable success to our customers, who have trusted us for conducting their business activities. Complete customer satisfaction being the ultimate reward for us, we ensure to offer quality and high performing range of Panasonic Brand of Valve Regulated Lead Acid Batteries. Panasonic is a renowned name Panasonic Brand that has emerged as one of the largest electronics goods manufactures. Thus, the brands itself speaks about the quality of the products, which we offer our valued clients. We have complete understanding about the varied needs of the clients and accordingly supply them with the best possible batteries within the given time frame. Today we have a large number of renowned clients both from the domestic and international arena. 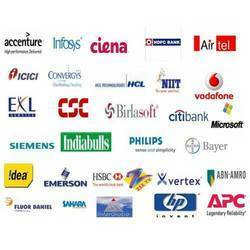 BPO/ ITES Vcustomer, Technovate, Iis, Hcl Bpo, Spectramind, Vertex, Csc, Globallogic, Exl.